Greetings all, we are the Fightin' Foenatics. A group started with the goal of being a welcoming place for new comers and providing them adequate resources to improve in the realm of fighting games. We have mostly changed our direction from our original vision but we still instill the principles of our founder. Our current main activity is providing a gathering for all fighting game players of all skill levels and have our host MPK do commentary. So come on over to our Twitch channel to watch. Or if you would like to participate, you can join us at the pixel lobby. You can check out our past streams on the Youtube Channel. You can chat to us on our Discord Channel. All future stream announcements will be posted here. Just getting through the stream archives. I love it how TFH's launch has basically turned Foenatics into a game of Where's Waldo for the organizers. The stream was so far held in a dedicated FF Stream pixel lobby MPK hosted on his machine. However, the attendance was so big, people managed to trample the server three times before the stream could even get started. Whatever will the solution be next week, it will be surely announced beforehand in the FF discord and the Twitch stream itself. Match Commentary # 2 will take place tomorrow 4 PM EST (3 March 2018). We'll have a special room for our stream and we'll announce it on our Discord before the stream. As always, anyone can join. Skill level does not matter. I can't pinpoint exactly why and I wish no offense to the announcer for FF but something about his announcing just kinda annoys me. Why is it something is ALWAYS happening on Saturdays so that I can't play in the foenatics commentary's.. So they finally released good ole' TFH on Steam for e'ryone to play, and the same question is on everyone's mind: when's the next FF online tournament? Well, wait no longer. For the month of March, we've decided on holding our first open-entry tournament on Saturday, March 24th. We'll finalize the exact time and locations of winners/losers bracket streams a bit closer to the event (perhaps a week out), but for now expect the same format of MPK on FF Twitch account and Songhacker on his Twitch around the afternoon/early evening EST. This time around, we're going to increase the stakes just a bit more with a $150 total prize pool. As before, this tournament will be a double-elimination, open-entry bracket with no entry fee. We can't guarantee we'll stream every match (protip: we probably won't), but we'll organize as best we can to both maximize streamed fights and match-flow. First place will receive US $75, second place $45, third place $20, and fourth place $10. We encourage players of all skill levels to come test themselves in our low-key tournament atmosphere, because even though there's money to be won, we're still mostly here to improve and have fun (just ask our last tournament winner). Also, keep an eye out for our next announcement regarding our low/no-stakes, beginners-only tournament! We are definitely committing to doing one, but we're going to need a bit more time and player-data to do so. We're also not sure if we want to do a bi-monthly open/beginners alternating schedule (one or the other every two weeks), or a less frequent schedule alternating every month. We do know that we still have plans to give the winner a small non-cash prize, but we'll let you know more about that come the tourney itself! 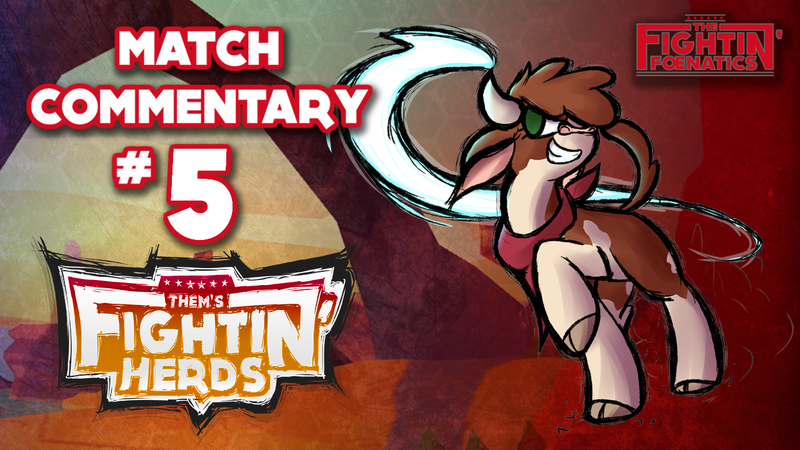 With the game out in full force, there are increasingly more options to turn to for TFH community action, but we're happy to have ya'll stickin' with us over in the Fightin' Fœnatics all the same. 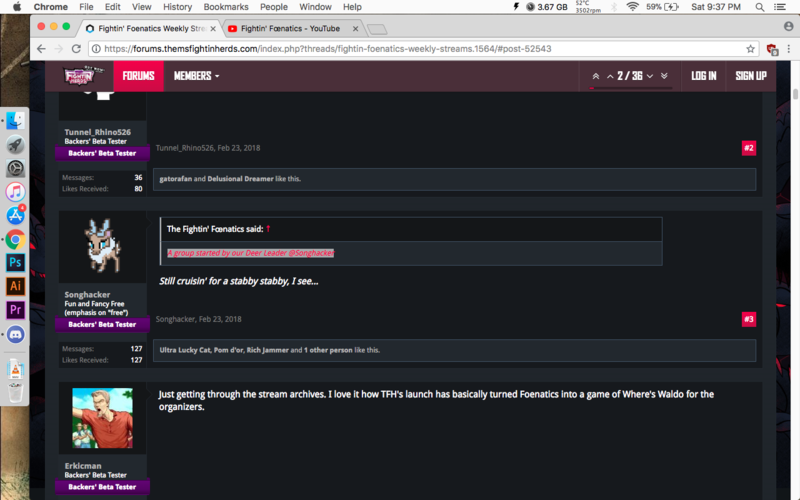 We promise to continue delivering weekly commentary streams and monthly (at a minimum) tournament action, as well as to continue building up weaker players into better ones amidst a welcoming atmosphere. Match Commentary # 3 will take place tomorrow 4 PM EST (10 March 2018). 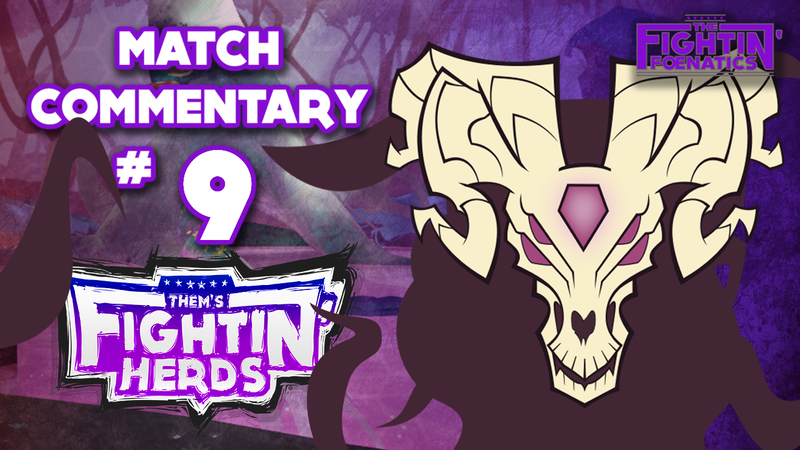 Apologies for the delay in this correction, but as recently announced on our last commentary stream, the date for our next online open-entry tournament has changed to Saturday, March 24th. All other information remains the same. Please adjust your schedules accordingly if you plan to participate; we hope to still see everyone interested either in the bracket or on stream. 'Till then! Match Commentary # 4 will take place tomorrow 4 PM EST (17 March 2018). Match Commentary # 5 will take place tomorrow 4 PM EST (31 March 2018). Was cool getting to play a match and have it be commentated, even if I did poorly. Very helpful to watch the stream archive afterward, hear someone else comment on what you did well and where you could do better. 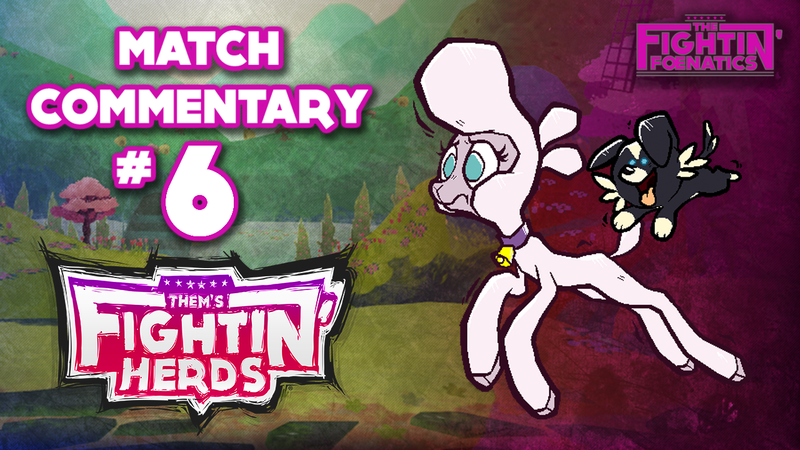 Match Commentary # 6 will take place tomorrow 4 PM EST (8 April 2018). Match Commentary # 8 will take place tomorrow 4 PM EST (21 April 2018). Stream delayed and rescheduled 22 April. So we want to start a new practice to balance out our efforts, wherein the first weekly stream of every month will be exclusively for players newer to fighting games in general or just TFH. The stream will be longer (2-3 hours, depending on participants/material to cover), but in general will be more casual (there won't be much editing on the VODs, either). We'll also try to give match participants best-of-3 sets for the first hour or so to allow more breathing room for player adaptation. Again, we ask that seasoned/confident players please stay off the hosted server for these particular streams, though we encourage you to watch and give constructive advice in the Twitch chat. 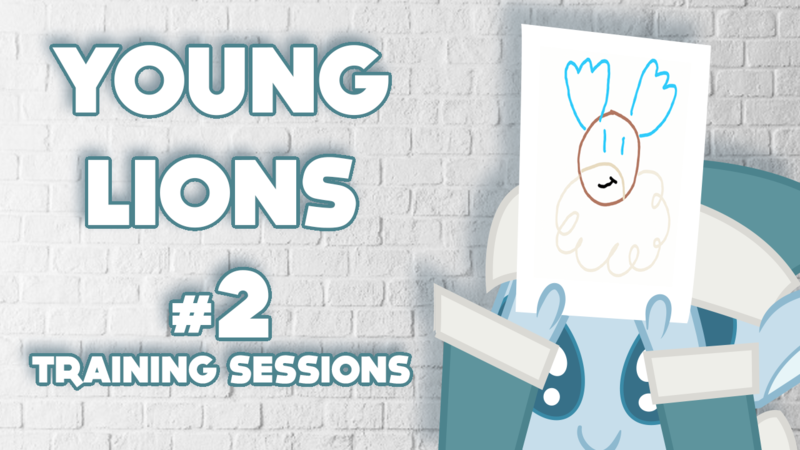 We may even ask you to take a newer player into a brief off-stream training session, time/players willing. As in the past, we're calling this initiative "Young Lions," and we're starting it this Saturday with Songhacker as the MC. Newer players, we encourage you to come join us! It take place Saturday 6 PM EST (5 May 2018). 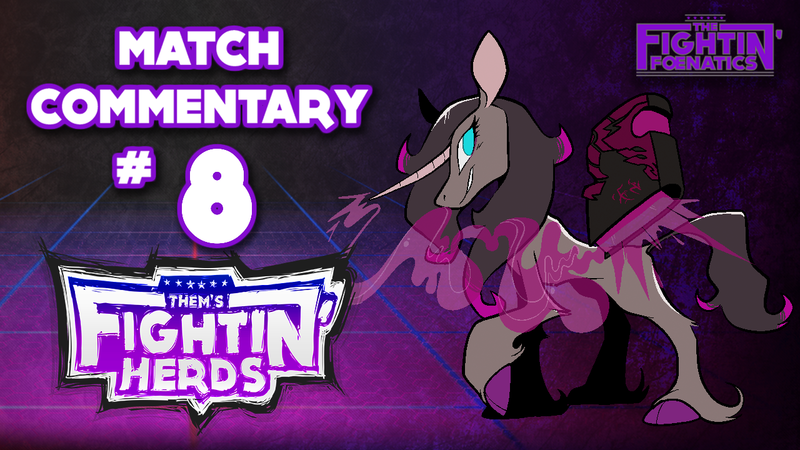 Match Commentary # 9 will take place Today 4 PM EST (12 May 2018). 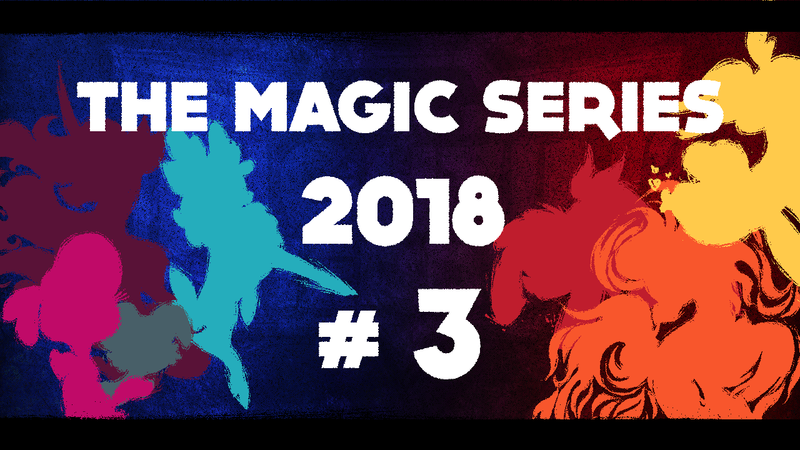 Just a reminder that The Magic Series 2018 will be held on 19 May 2018 4 PM EDT. The participant cap for this tournament has been reached, but you can register to get on the waiting list. This is in case players drop out or they fail to check-in on time. A reminder also that the previous TMS reached the 32 player cap but when the tournament started 6 players did not sign in and people in the waiting list were entered. 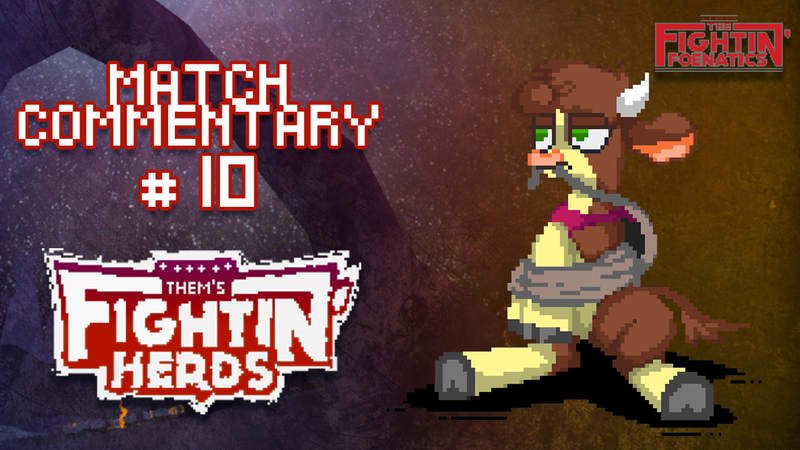 Match Commentary # 10 will take place Today 4 PM EST (26 May 2018). 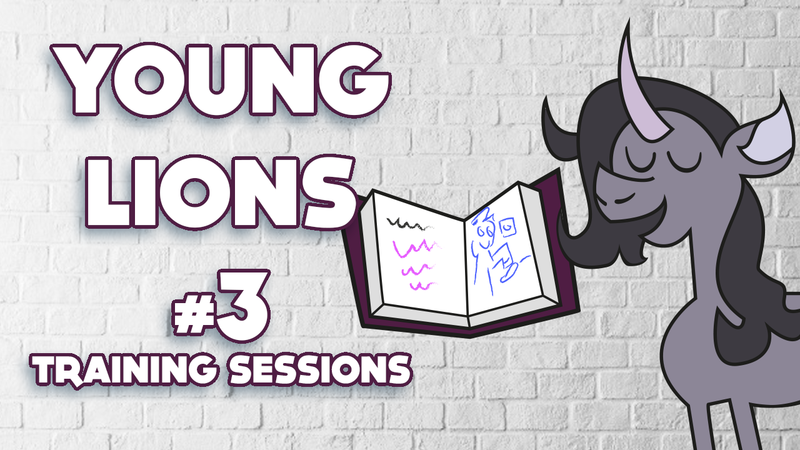 A new month approaches, and with it comes the next session of Young Lions! Once again we will be turning our usual Saturday stream into a longer, beginner-focused affair starting at 6 PM EST. We encourage less-experienced players to come join us in the assigned pixel lobby (designated just prior to stream), and also ask experienced players to watch the stream and provide any additional advice they may have from within stream chat. This month's session will focus on defense and basic punishes, and features Local Hero as a special co-host. We plan to have a different community co-host each month, so let us know if you're interested. 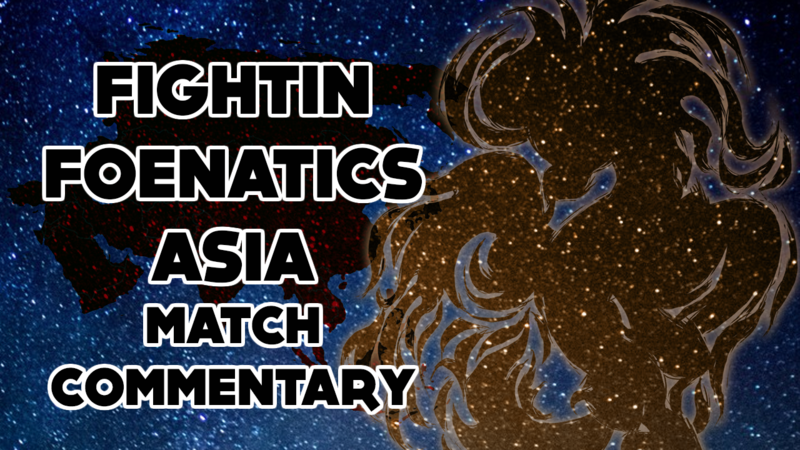 Also announcing Fightin' Foenatics Asia. Depending on the turnout and reception of it's debut stream, will become a weekly stream similar to the regularly scheduled Match Commentary stream. This stream is to accommodate Asia region players as the regular Match Commentary streams takes place early in the morning. The first stream will be held on Sunday 3rd June 6:00 PM Singapore/ 7:00 PM Japan (10:00 AM GMT/6:00 AM EST). If you are in the Asia region or if you are up late/early you can join in. This week's stream will have Songhacker as the host. 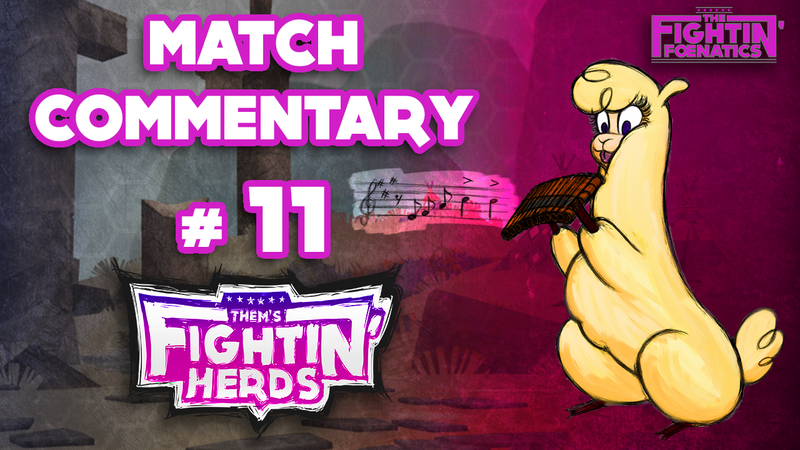 Match Commentary # 11 will take place Today 4 PM EST (9 June 2018). 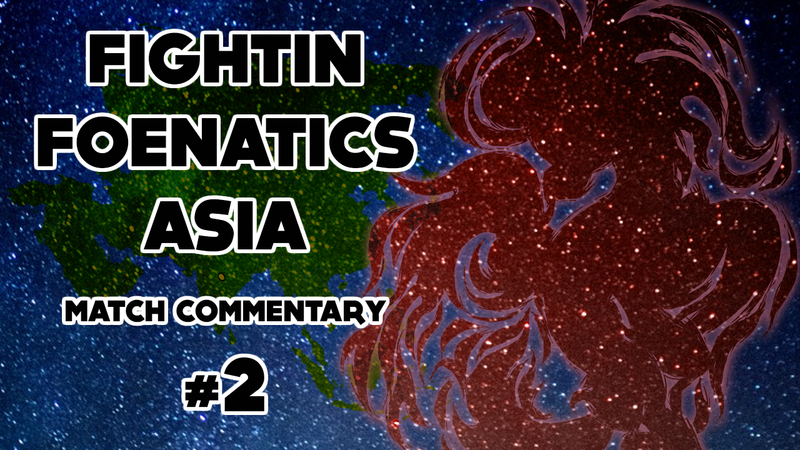 Fightin' Foenatics Asia # 2 will be held on Sunday 10th June 6:00 PM Singapore/ 7:00 PM Japan (10:00 AM GMT/6:00 AM EST). If you are in the Asia region or if you are outside the region but up late/early you can join in. This week's stream will have Songhacker as the host and It'sAK9 as Co-host. 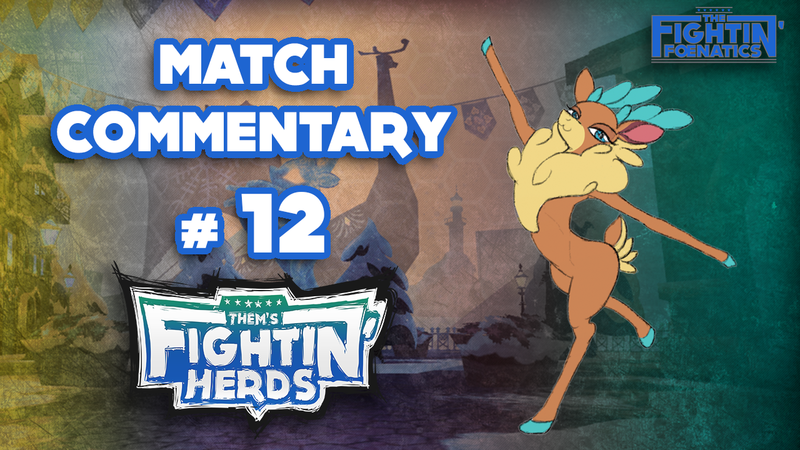 Match Commentary # 12 will take place tomorrow 4 PM EST (16 June 2018). 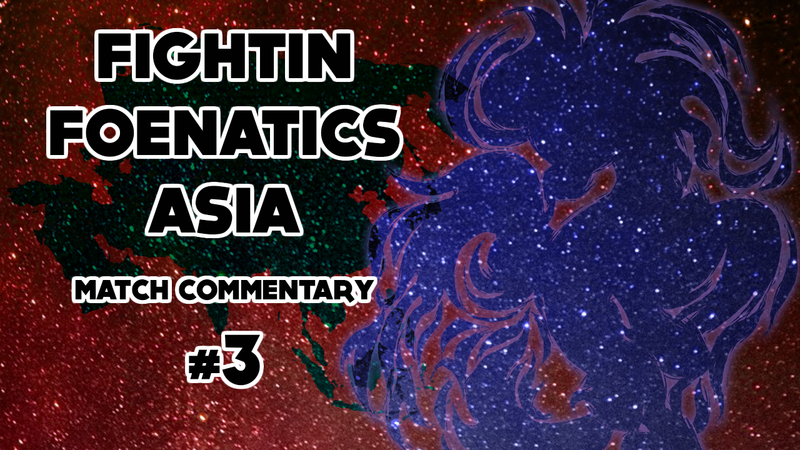 Fightin' Foenatics Asia # 3 will be held on Sunday 17th June 6:00 PM Singapore/ 7:00 PM Japan (10:00 AM GMT/6:00 AM EST). Just a reminder that TMS # 4 is this week 23rd June 2018 at 4 PM EST. 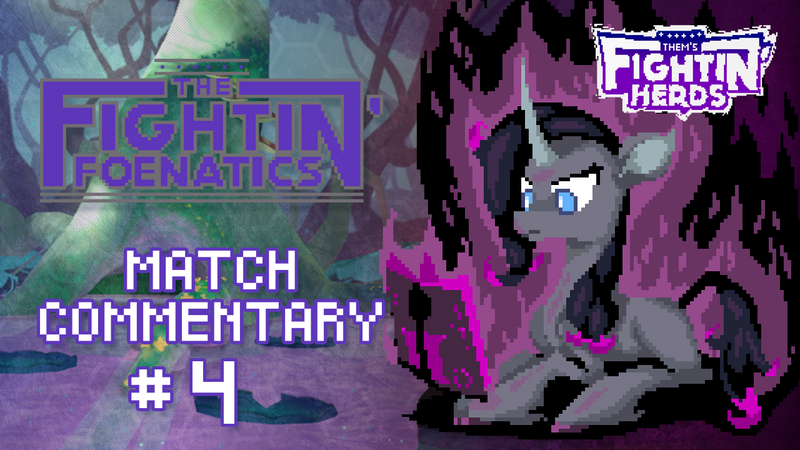 No Fightin' Foenatics Asia this week because of TMS # 4. 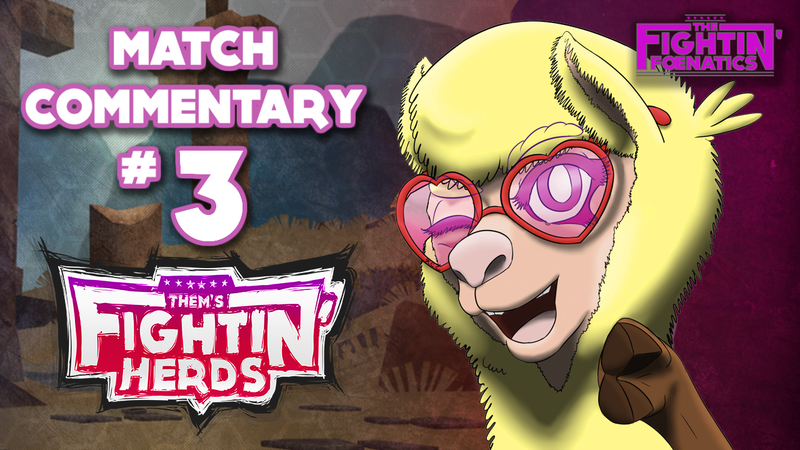 Match Commentary # 13 will take place at 4 PM EST (30 June 2018). FF Asia is cancelled this week because our regular host and streamer is not available. This stream is delayed until tomorrow 1st of July same time as the regular stream. In light of people attending Hop's tournament today we will have a more casual stream tomorrow. 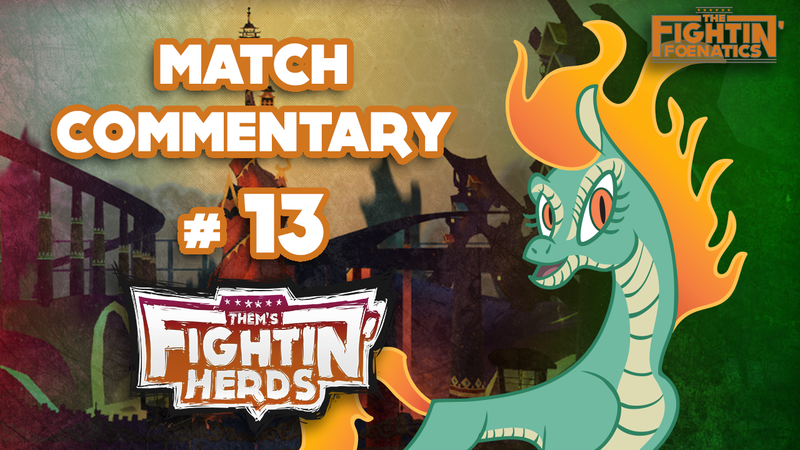 Thus, Match Commentary Stream # 13 will be delayed until tomorrow to be held at the same time. We would like some volunteer's to join us on voice chat. 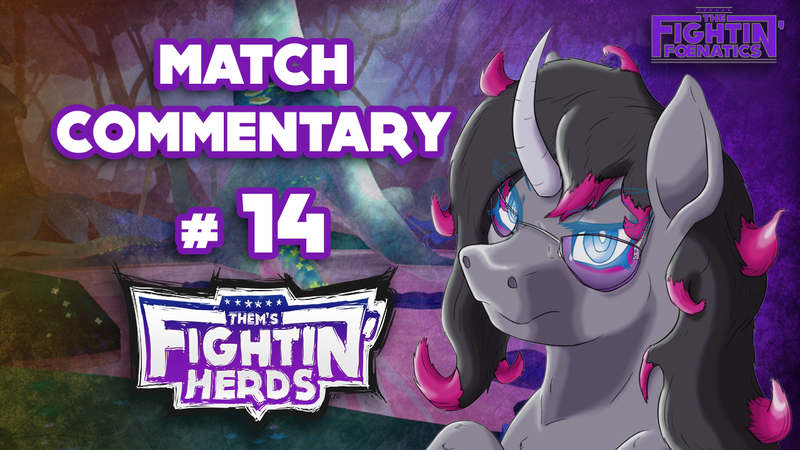 Match Commentary # 14 will take place at 4 PM EST (14 July 2018). 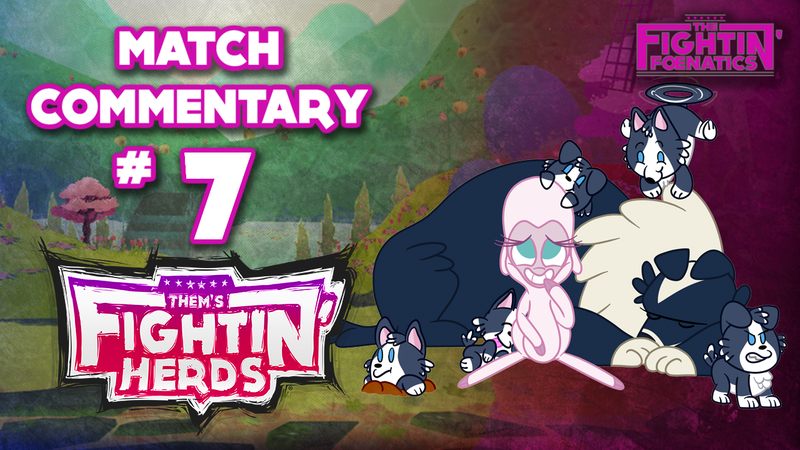 If for some reason you don't want to watch at their channel, you can still catch it on the usual fightin' foenatics Twitch and it will be available on Youtube at a later date. You know the drill by now. Same time 4:00 PM EST, Saturday 21st July 2018. 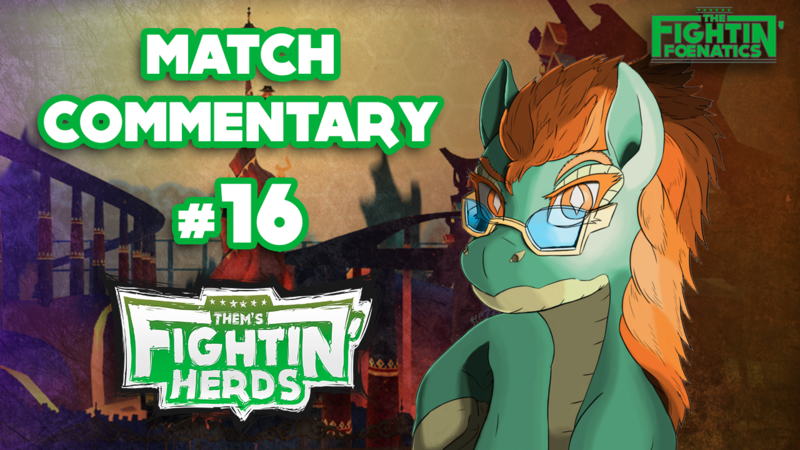 Match Commentary # 16 will take place at 4 PM EST (28 July 2018). 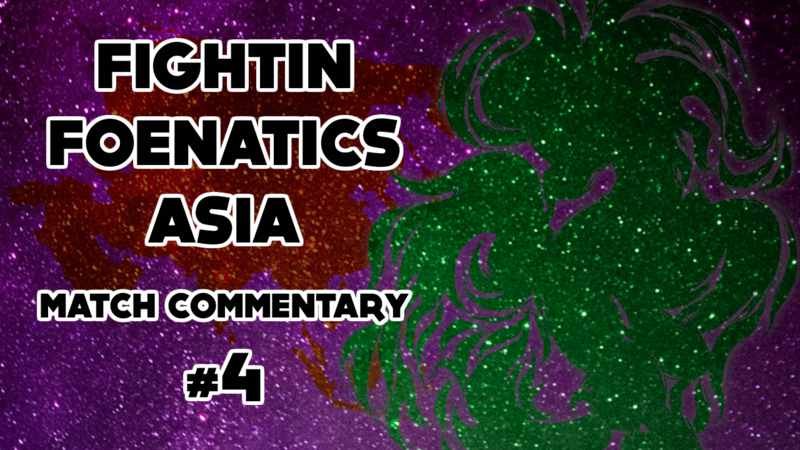 Fightin' Foenatics Asia is back with the fourth stream which will be held on Sunday 29th July 6:00 PM Singapore/ 7:00 PM Japan (10:00 AM GMT/6:00 AM EST). Even though this is an Asia stream anyone in the world can join in. 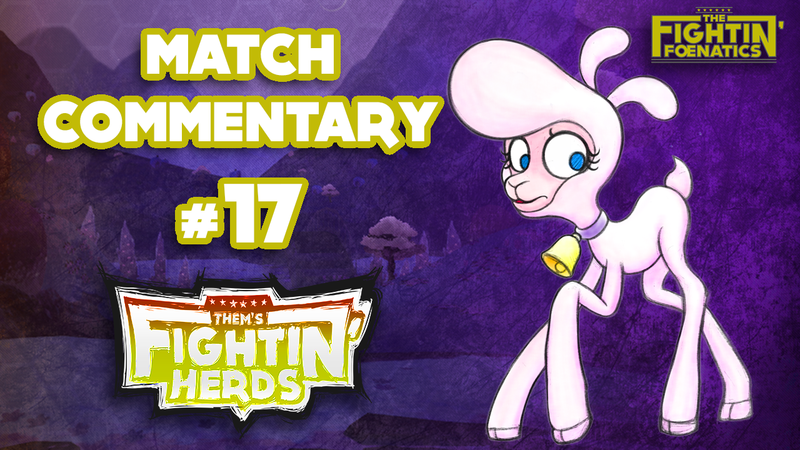 Match Commentary # 17 will take place at 4 PM EST (11 August 2018). I'm saving this screen cap incase you decide to stealth edit it. How is errrrybody doin'?!! Ya'll already know what time it is (I hope), cuz after our break it's time we get back to business. 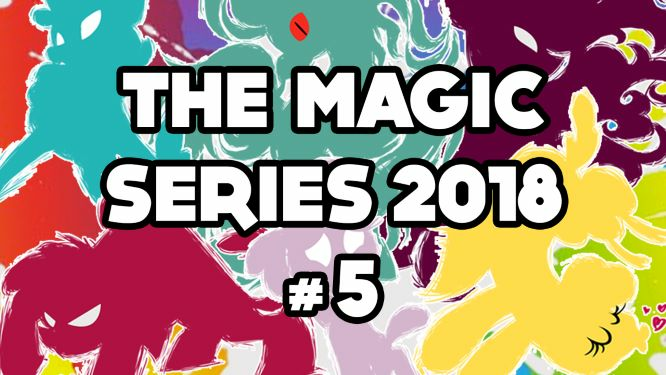 It's time to post the bracket sign-ups for The Magic Series (2018) #5! All the rules and stuff are the same as before, but now more specifically stated in the Challonge page. Our date/time will be August 25th, 4:00 PM US EDT. As always, make sure to check in when the check-in period starts 2 hours prior to official tourney start time. Players who join after the 32 player cap is reached will be automatically added to a waiting list, from which it is still very possible to join due to drops/DQs. A reminder for our upcoming December finals...for any players who have not yet participated in TMS, you must participate in ALL REMAINING TOURNAMENTS for your placements to be counted towards potential entry into TMS Finals. Only 4 tournaments (including this one) remain. 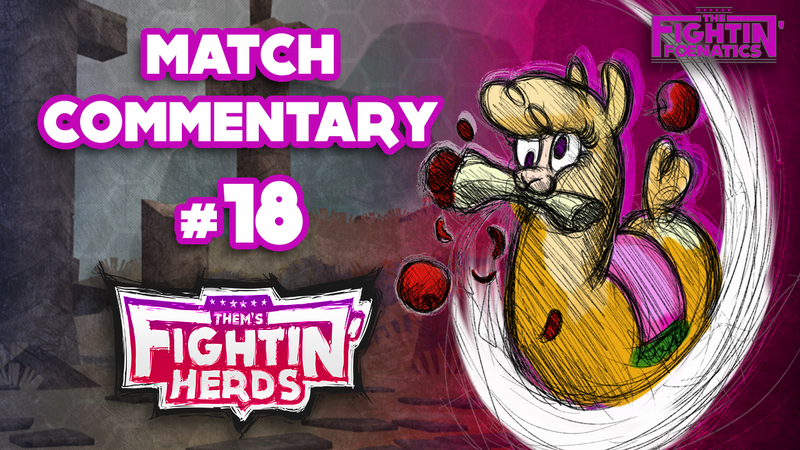 Match Commentary # 18 will take place at 4 PM EST (18 August 2018). 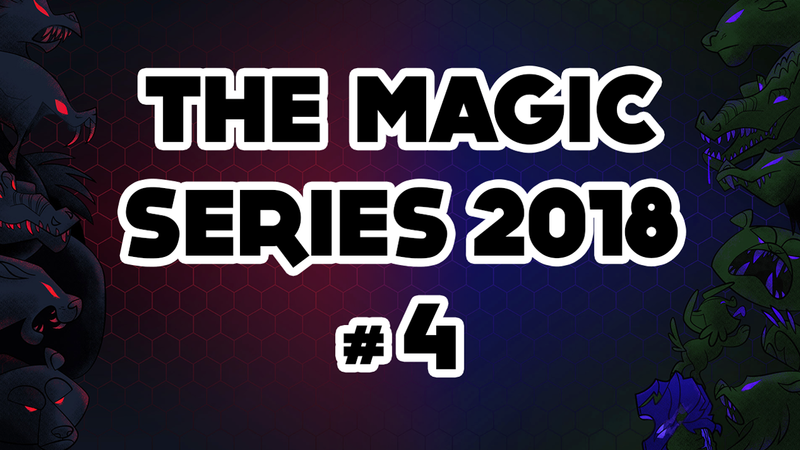 The Finale for our 2018 The Magic Series is almost here.